We mourn those killed in Cyclone Idai, are grateful to the rest of humanity for its sympathy and assistance, but how do we prepare for the next natural disaster? That is the challenge for Africa. We may not be able to prevent nature, in the form of cyclones and other disasters, from calling uninvited because it is like the wide-chested gorilla that insists on being your son-in-law, even when you did not give him your daughter in mariage. However, given advances in science, in almost all cases, it is possible to track and monitor the movement of nature and make preparations to limit its effects, including the loss of lives. In this case, we knew about Cyclone Idai two weeks before it made its more devastating landfall. Its monitoring began on March 1. 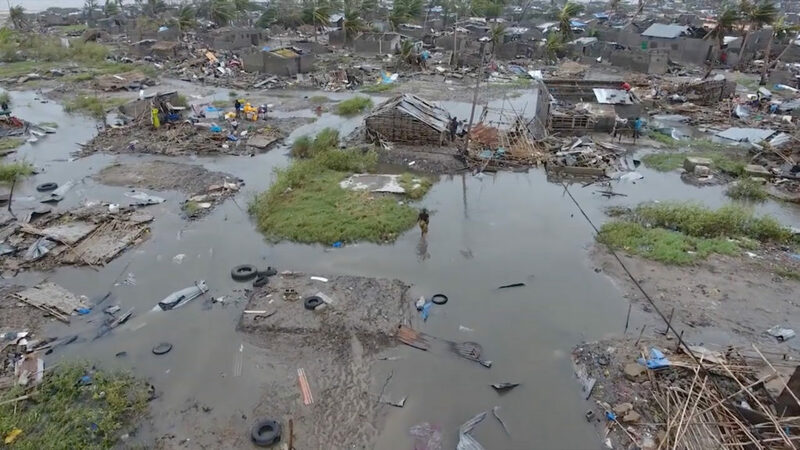 On March 4, it made its first landfall which killed 66 persons in Mozambique, injuring 111 and destroying 5,756 homes, while affecting 15,476 other homes. On March 9, the cyclone gathered strength as a Tropical Cyclone 18S. Two days later, it was in motion with winds of up to 175 kilometres per hour. On Thursday, March 14, it peaked at 195 kilometres per hour, before making a landfall late that night. Tragically, despite our knowledge of Cyclone Idai, Africa was still generally unprepared for this second and more devastating landfall. So in Mozambique, the initial death toll was 202 with at least 400,000 people rendered homeless. President Filipe Nyusi said: “Everything indicates that we can register more than 1000 deaths.” The United Nations says that over 2.5 million people need immediate assistance. …when on August 30, 2008, the Category-4 Hurricane Gustav swept through it at 195 kilometres an hour, damaging 100,000 homes and causing billions of dollars in damage, not a single Cuban died! Perhaps the Zimbabwean case is the most inexcusable; how come the government was unable to mobilise and carry out emergency evacuation, given the notice it had? Having failed to do so, why was it not prepared with emergency aid to move in immediately after the expected flooding? The government’s excuse that its meteorology and Civil Protection Unit (CPU) agencies had issued warnings to people in areas to be affected to move to other zones, is dumbfounding. There is nothing to indicate that the warning circulated sufficiently, otherwise the victims would not have been surprised by the cyclone. Who will be told about the date of such a devastating landfall, and will go to sleep with his entire family? The government cannot claim that the people refused evacuation. This is precisely so, because there was no evacuation plan put into motion. Apparently, the President Emmerson Mnangagwa government just went to sleep in Harare, waiting for news of the extent and effect of the devastation. If the Zimbabwean government was on duty, I have no doubt that most of the lives lost, would have been saved. This is not about being a poor country or burdened by any embargo; it is about a sense of responsibility and being effective as a government. Cuba is a poor country with an American-imposed embargo since October 19, 1960. It has no four-wheel vehicles to go through floods, helicopters to rescue crowds, and, very few Cubans own cars. Despite these, when on August 30, 2008, the Category-4 Hurricane Gustav swept through it at 195 kilometres an hour, damaging 100,000 homes and causing billions of dollars in damage, not a single Cuban died! Ahead of the more devastating Hurricane Ike, which virtually leveled the country, the government evacuated 2.5 million people. When four people died in that hurricane, the Cubans were horrified; how can they lose four whole souls? What is lacking in Africa is a leadership like that in Cuba, that takes governance serious, is committed to development and sees every life as too precious to be lost. Africans are clinging to roof and tree tops, dying by the minute, and our continental body is deciding five days into the disaster to send an assessment team! Humanity, including in some African countries especially around the affected nations, was quite fast in responding to the disaster. United Nations’ agencies flooded the areas and its Emergency Fund released $20 million. Bodies like Doctors Without Borders were quick in their response, as was the European Union, which made an initial pledge of $3.97 million. But not so our continental body, the African Union (AU). It took five days for the distinct voice of the AU to be heard. This was after the Malawian Representative to the body, Ambassador Mhimango Edward Chirwa had briefed the AU Commission chairperson, Moussa Faki Mahamat who then announced a pledge of $350,000 to the three devastated countries. It was also at that point the AU said it had decided to send a mission to assess the situation. Africans are clinging to roof and tree tops, dying by the minute, and our continental body is deciding five days into the disaster to send an assessment team! Wednesday afternoon, I went on the official AU website, there was no mention of the disaster; the latest report there was that of its Electoral Mission to the February 23 elections in Nigeria. Nothing about mobilising Africans to respond, or a Disaster Fund to which we can contribute. Africa, in comparison with most parts of the world, is lucky in terms of natural disasters like earthquakes, cyclones, wildfires and tsunamis. We are also, the least prepared. We tend to leave things to chance and rather put all our trust in religion, hoping that alone will see us through. Neglecting the basic saying that the Heavens help those who help themselves, we become like the palm wine tapper who has so much confidence in God’s protection that he uses palm fronds rather than ropes, to climb the palm tree. As the cyclone sweeps through the southern parts of our continent, I wonder whether we have a disaster management system, and if so, why didn’t the AU activate it? Picture credit: IFRC/Red Cross Climate Centre via REUTERS.